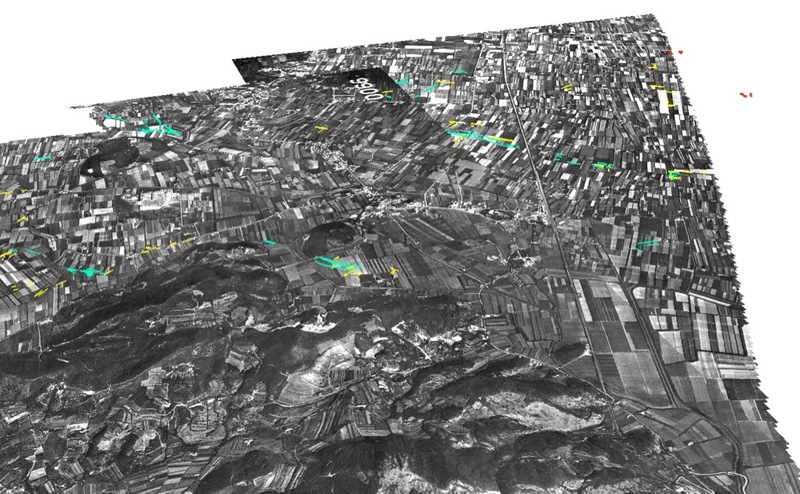 Remote sensing is a discipline that allows to obtain qualitative and quantitative information about an area or an object placed at a certain distance from a sensor. In fact, it is possible recognize traces of the palimpsest of natural or man-made activities that affected a given territory over time and put them in a chronological sequence, thanks to the study, the analysis and the processing of data acquired by the sensor, which can be placed on an aerial platform (the so-called airbourne tecniques) or can be of satellite origin. 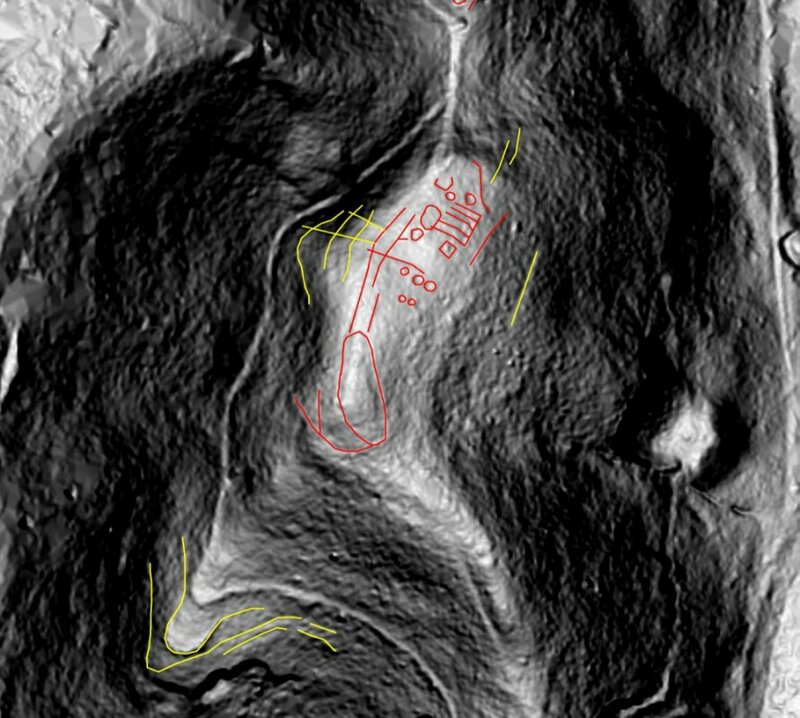 These traces are defined anomalies, as they represent a discontinuity with respect to the surrounding area. The results of the investigations with remote sensing techniques are extremely important for the archaeological study of a territory and its protection. 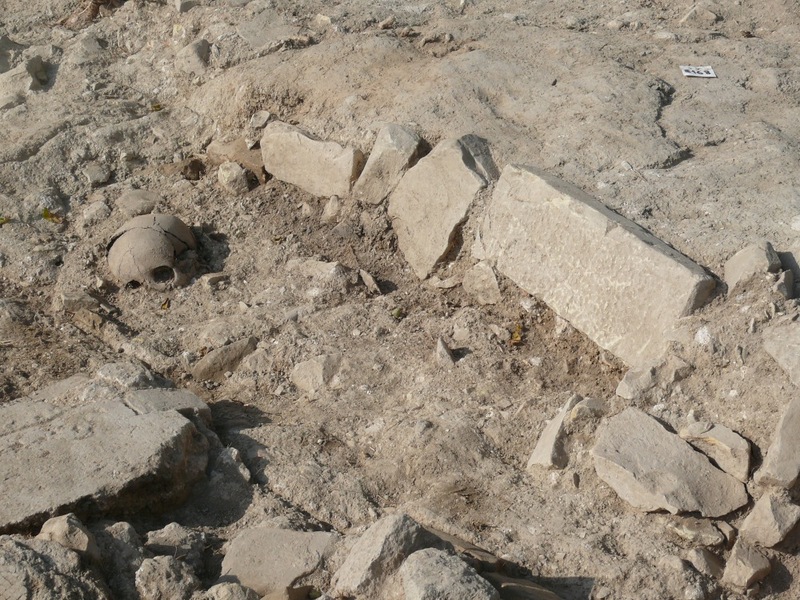 In fact, they are useful for monitoring human interventions occurred over time without using invasive methods, such as excavations. The limit of this method is the impossibility of giving an absolute date to the identified features. 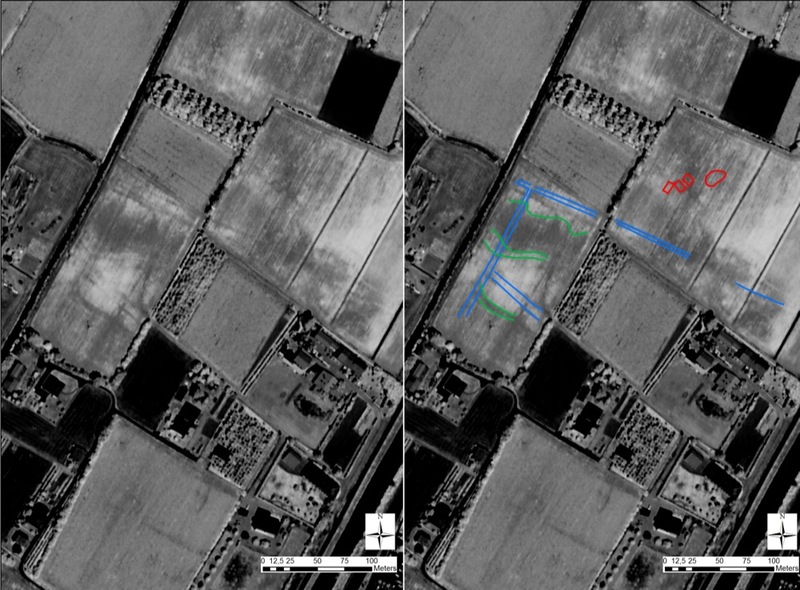 Therefore remote sensing should be used as a support of more traditional methods of investigation such as map, bibliographic, archival search, survey and direct excavation. 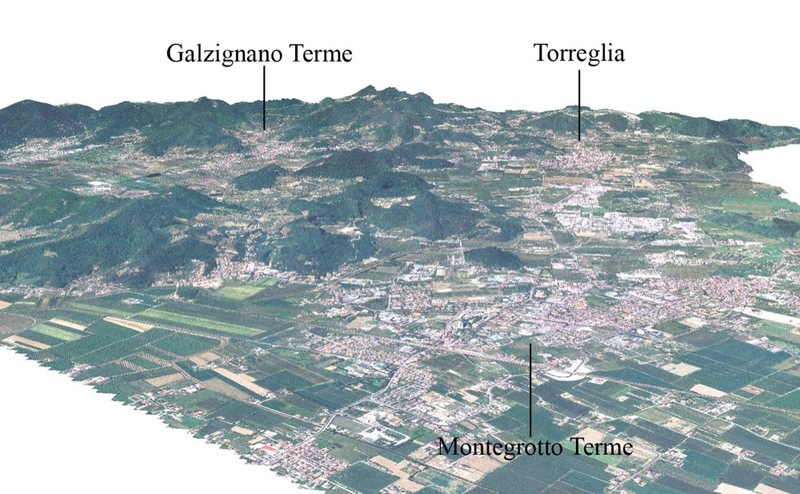 The investigation on the territory of Montegrotto Terme and the other municipalities of the Euganean thermal area was carried out starting from an extensive series of recent and historical aerial photographs (from 1944 to the present), digital orthophotos (2008) and infrared digital orthophotos (2006). Tracce di foto interpretazione in cui sono riconoscibili delle canalizzazioni sepolte testimonianza di uno sfruttamento agrario antico. Area a NE del centro di Montegrotto. 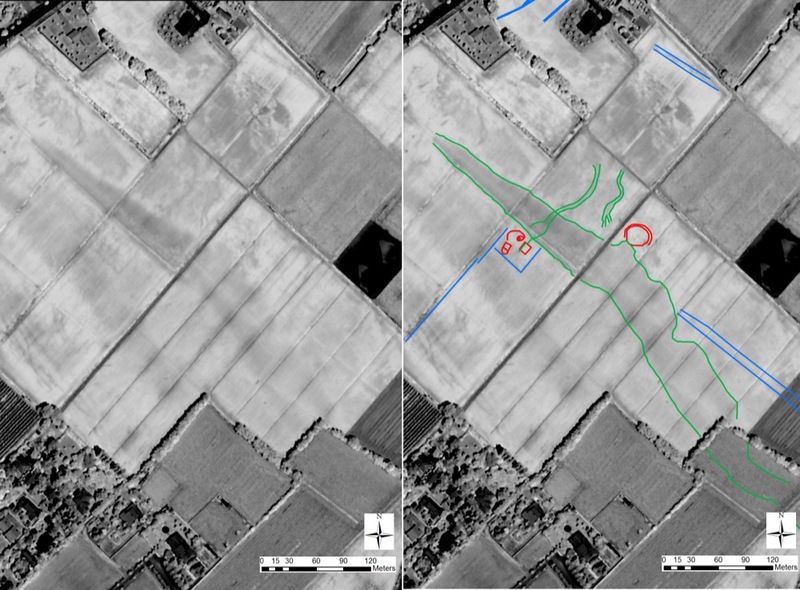 The main results concern the identification of buried channels and ditches, referring to an agricultural use of the flat area on the east of the Euganean hills. 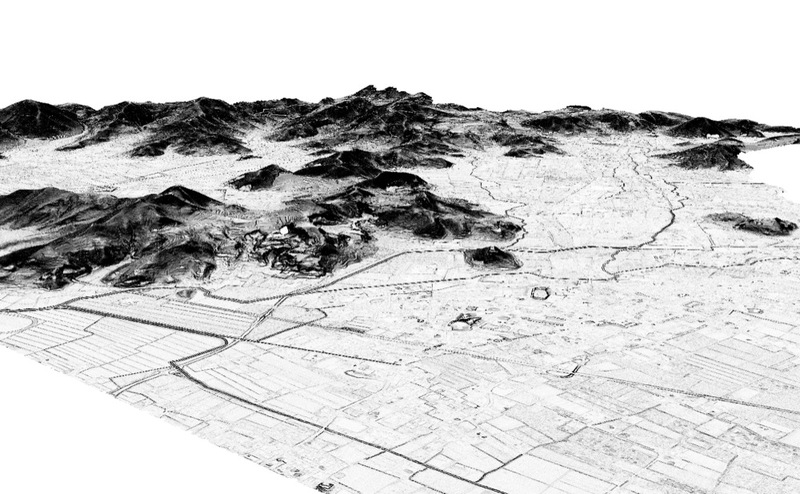 The general organization of such drainage structures, although broadly similar for orientation to the one currently in use, probably implies an agricultural land use of long duration. 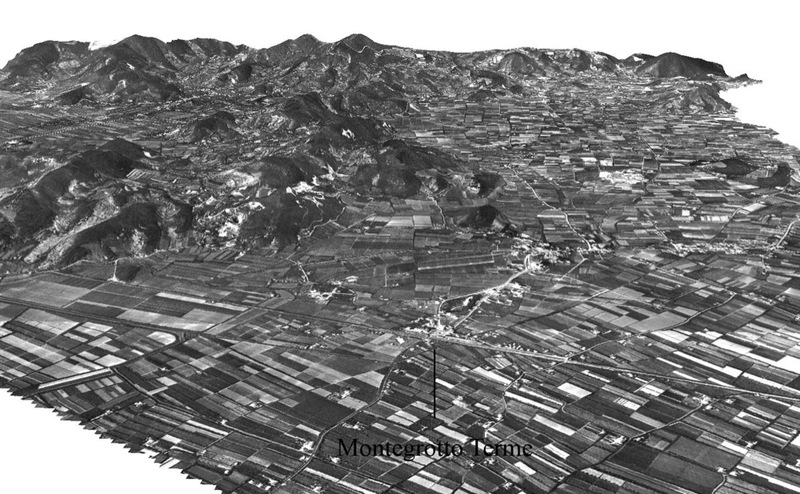 Numerous anomalies related to agricultural use were noted near Monte Castello in Montegrotto Terme, in the immediate vicinity of the Bronze Age village thanks to the use of LiDAR. 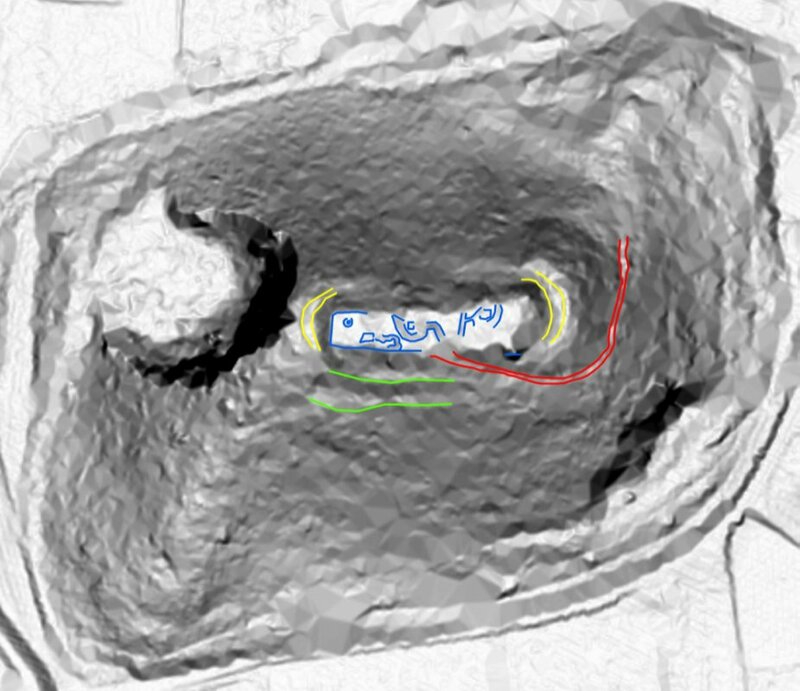 This allowed us to hypothesize an association between the agricultural activities and the village, but this hypothesis needs to be confirmed after a specific ground control (survey, excavation). 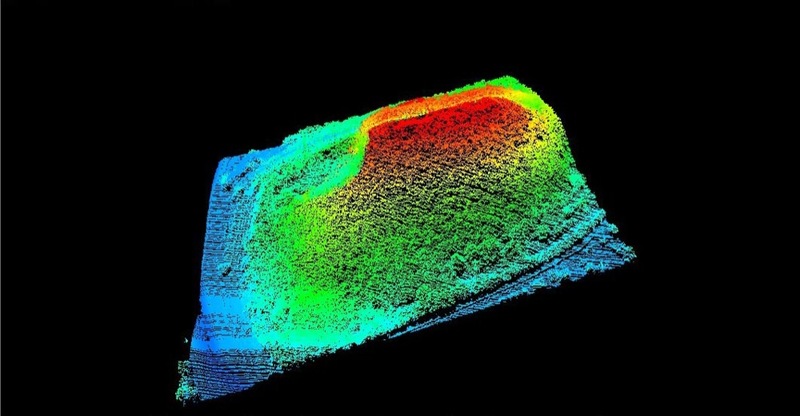 LiDAR (Light Detection And Ranging) is a remote sensing technique that allows to obtain a digital terrain model by sending a laser pulse from an aerial platform. The calculation of the time that the pulse takes to return to the starting point allows to know the distance to the point hit by the laser. 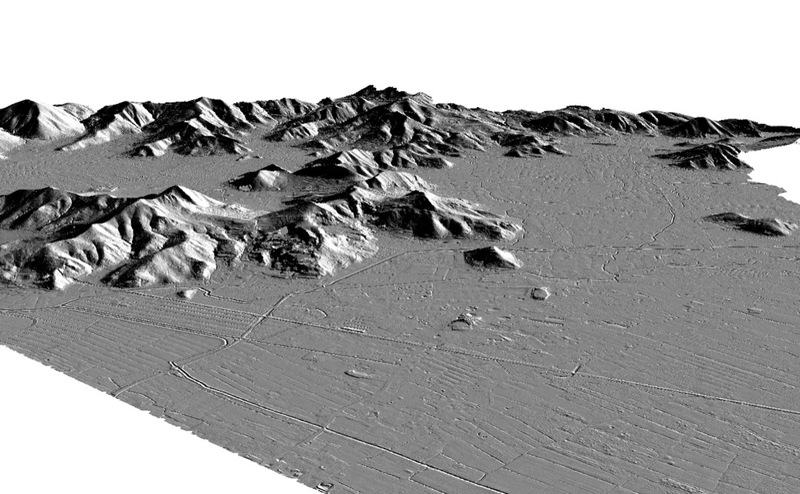 The digital model will be shaped according to the variations in height of the terrain under investigation. 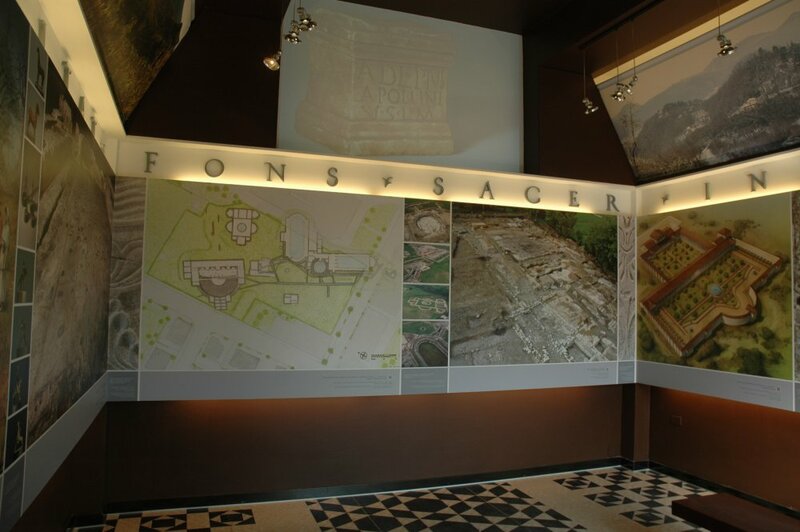 Therefore, this technique allows us to appreciate the detailed morphology and micromorphology of the land, and so to recognize, in addition to the structures visible to the naked eye (walls, embankments, ditches, terraces, sewage, agricultural divisions), also buried elements (such as pads, bumps, valleys, hydrography) due to anomalies at local level. 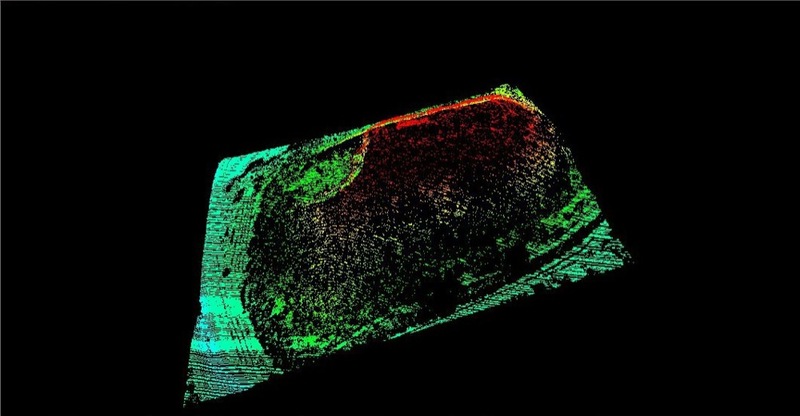 The added benefit of this type of technique is that it allows the handling and shaping of the data: in particular, it is possible, through various methods and algorithms, to remove vegetation and investigate the areas covered by forest otherwise unsearchable from the above. 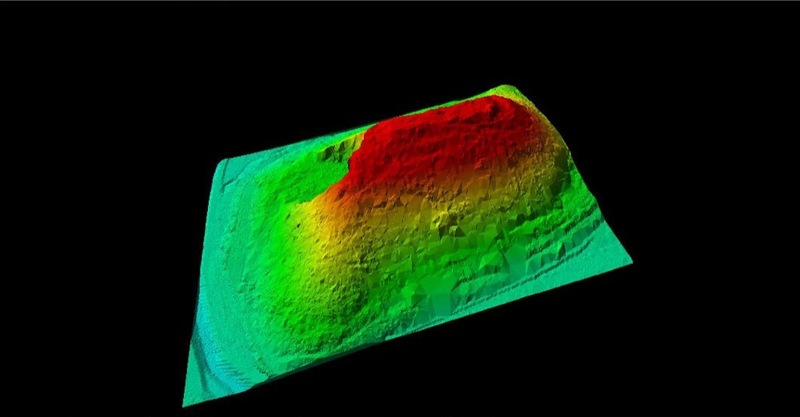 Particolare delle tracce individuate su Monte Castello attraverso l’uso del modello digitale del terreno (Lidar). 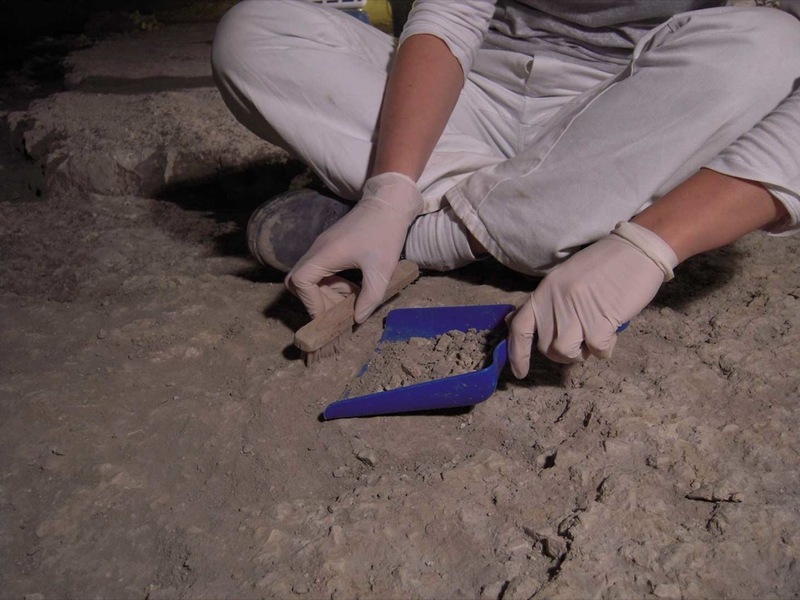 Si può osservare la strada che giunge alla sommità del dosso (in rosso), delle tracce parallele di un probabile fossato (in giallo), delle tracce di possibili terrazzamenti abbandonati (in verde) e delle tracce di probabili strutture sulla cima del colle (in blu). 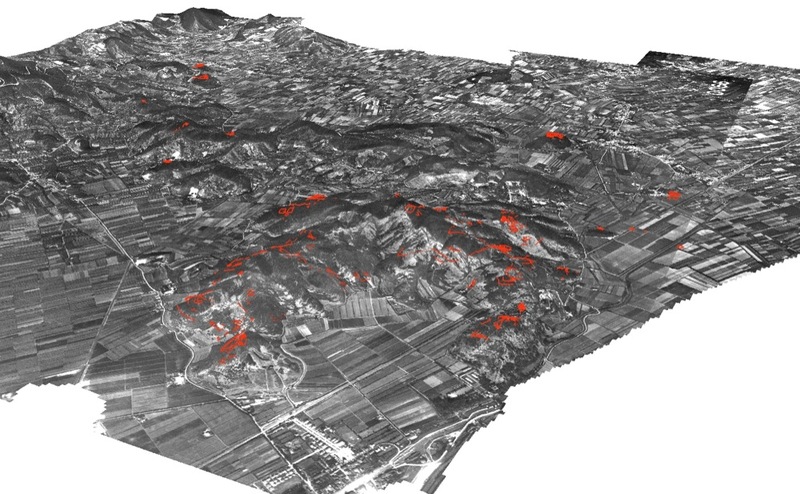 In the Euganean thermal area, LiDAR was used to analyze the traces hidden under the vegetation that covers the hills south of Montegrotto Terme. 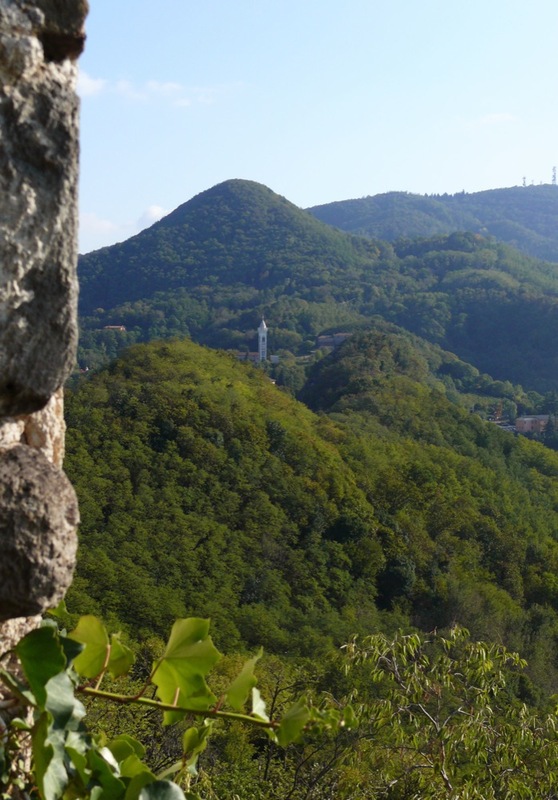 From reading the digital terrain model, it was possible to identify a number of anomalies located on the top of some hills and related to human settlements (the clearest on Monte Castellone). 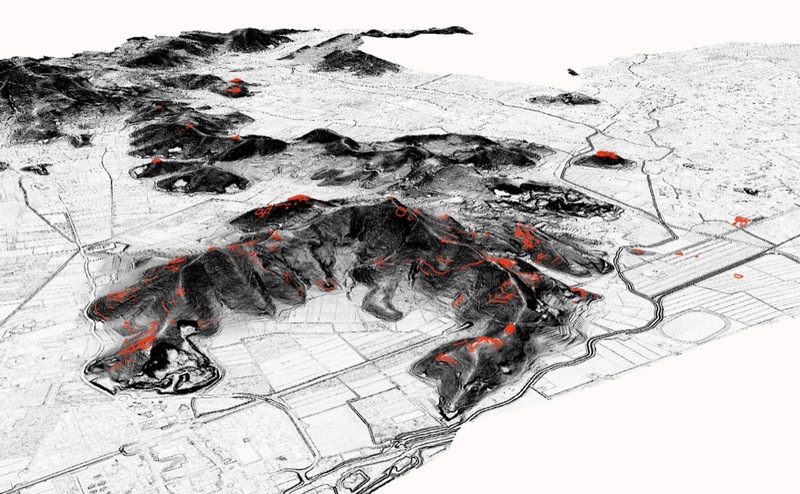 Numerous other anomalies were identified on the hillsides and are interpretable as abandoned trails/ paths and terraces, reflecting the intense anthropogenic exploitation of the area over time. 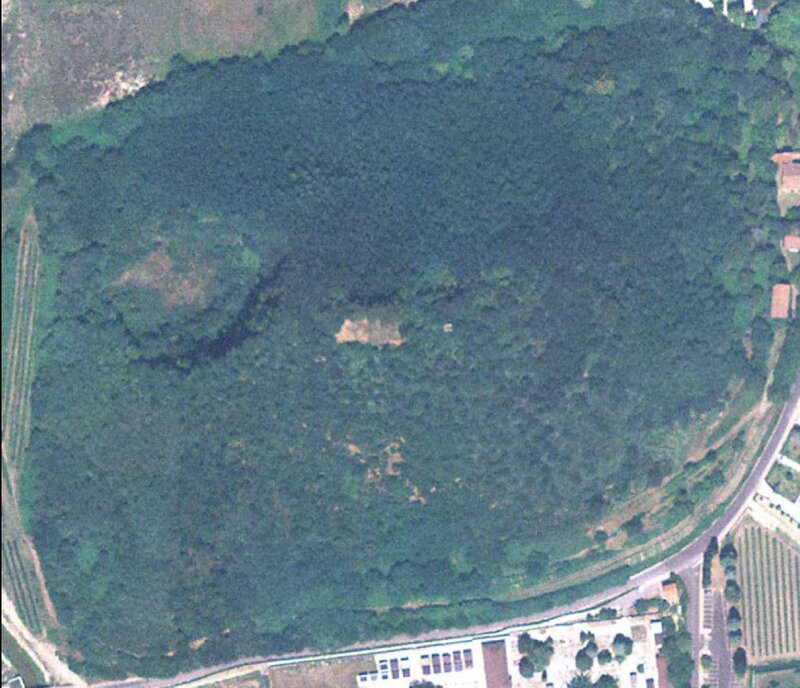 With aerial photography various anomalies were also found on Monte Castello in Montegrotto Terme; in particular a few of them were related to a stretch of road that leads to the top of the hill while others to a probable moat surrounding the summit area, possible sign of the presence of a fortification. 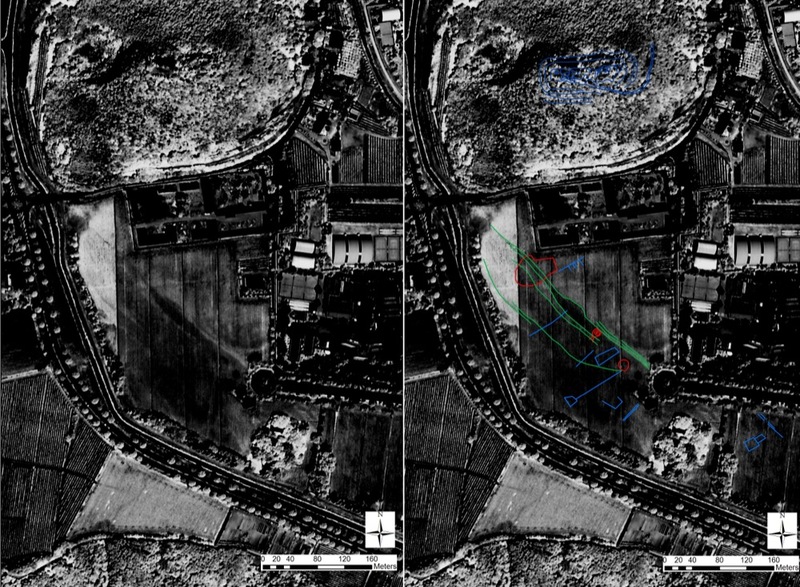 Other anomalies were also visible on the flat summit of the height and were interpreted as structures; this reading was confirmed by a ground control. 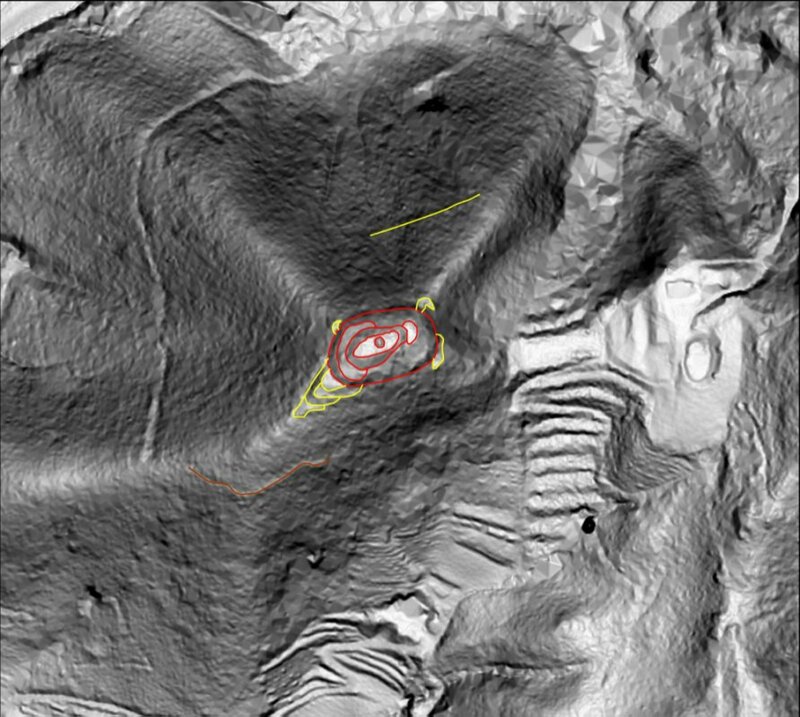 The LiDAR did not give significant results in the plains around Montegrotto, since agricultural activities reshaped the surface, changing its micromorphology and erasing any surface reflection of the ancient buried human activities.